Whether you have just started your preparations for the GDPR and the forthcoming new Data Protection Act or you feel it’s all sorted, you need to ensure your most important stakeholders – your frontline staff – are prepared. Your customer facing teams mark where your customer experience ambitions are either realised or frustrated. Whether dealing with customers face-to-face in store or in the field, or remotely in a contact centre, they are the face of your organisation. As such they will be the first port of call for customers looking to exercise their new and enhanced rights. How you choose to train your people is, of course, a question you are best placed to answer. If you’re feeling ill-prepared as to how to design and deliver data protection training for your front line teams then help is at hand. The DMA Contact Centre Council (www.dma.org.uk/communities/contact-centres-council) is hard at work preparing a contact centre training guide, which should be ready in the relatively near future. 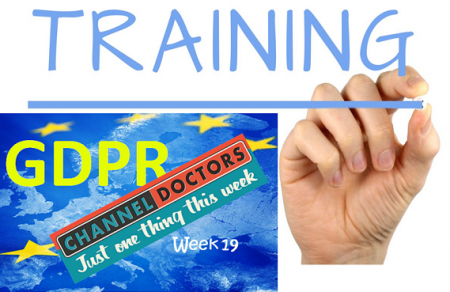 In the meantime, though, you can make a start by reviewing your GDPR preparations to date and working out what you most need to share with your front line colleagues. And in a future ‘Just One Thing This Week’ blog we’ll consider how to retain and enhance your colleagues’ data protection knowledge and skills.